The sandblasting of all the existing stalls is now complete and they look like new! The bulldozer arrived Wednesday to break ground and make way for the new addition, arena, and parking. The amount of excavation is quite extensive. The run ins are now being fully rebuilt with all new materials as the posts weren't nearly as secure as we had hoped. (It's a miracle that a strong wind didn't just blow them down!) 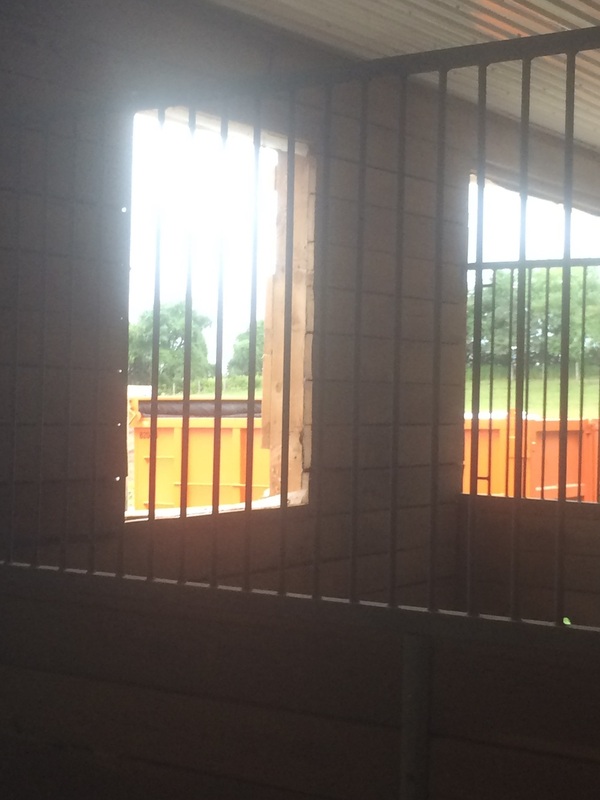 Stall windows are doubling in size which will make the barn much brighter. The white ceiling is being installed and is 2/3 of the way done. The new sign is due to be installed (hopefully) this week once we get utility locates completed. It will be located on a hill at the end of the driveway for better viewing from both directions. It's getting super exciting now! Our friendly crew working on the ceiling. Lots of earth being moved. Hurray! The sign is up!